Legislation for a number of housing affordability tax measures announced in the federal budget 2017 are being introduced to Parliament today. Four key tax measures from the government’s housing affordability package will be introduced to parliament today according to a media release from Treasurer Scott Morrison. One measure is the First Home Super Saver Scheme (FHSSS) which will enable prospective first home buyers to save for a deposit inside superannuation. PwC private clients director, Liz Westover, and Deloitte superannuation head, Russell Mason, have both previously voiced their support of this measure. “What this does is give them the capacity to save in a tax effective environment without compromising those retirement savings,” Ms Westover said. 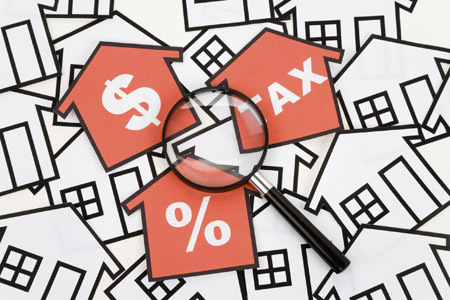 A more controversial measure that will prevent property investors from claiming travel expenses to inspect residential investment properties and limit the depreciation deduction claims investors will be able to make on properties purchased after 9 May 2017 was also introduced. The Institute of Public Accountants' senior tax adviser, Tony Greco, recently told Accountants Daily that he believes these measures go against the basis of Australia’s tax system. “The premise behind our tax system is the ability to claim an expense against the revenues, so what they're doing is they're altering that fundamental right,” Mr Greco said. The government’s foreign resident vacancy levy, which will place an annual vacancy charge on foreign residential real estate owners if their property is not occupied or available on the rental market for at least six months in a 12-month period, will also be introduced. Finally, a downsizing measure will be introduced, which will allow older Australians to contribute proceeds from the sale of their family home into their superannuation accounts.